It could be because of the needles or the ‘toxin’ in onabotulinumtoxinA that some of are afraid of getting Botulinum Toxin. Like any medicine – as Botulinum Toxin was when it first started – we will get the best results when it’s administered by a trained physician at the right dosage. Many of us have an innate fear of the needle, but on a pain scale of 0 to 10, 10 being the most painful, patients getting injected with Botulinum Toxin describe the discomfort as somewhere around 2. A numbing cream can be applied to make the injection even more comfortable. So when it comes to pain factor, there is little to fear about the injection especially if there is an available cream. But, if there is a fear of looking old, then getting Botulinum Toxin as a forehead wrinkles treatment is worth enduring the tiny prick. What we should be more concerned about is the outcome. We’ve heard of horror stories of the toxin migrating to other parts of the face and paralyzing nerves there. The truth is, Botulinum Toxin is a very localized injection; a Botulinum Toxin specialist knows precisely where to put the needle after assessing the patient’s concerns. Because they know how to angle the injections, the procedure is often done after just a few pricks. An amateur, on the other hand, may take a long time to figure out where to put the needle. Botulinum Toxin Cosmetic is FDA-approved for glabellar and canthal lines, or more commonly known as ‘angry 11’ and crow’s feet. It’s also FDA-approved to treat migraines, cross-eyes and overactive glands of the underarm, among others. So if you get your Botulinum Toxin injection from a trained physician, you’re actually getting a medical treatment, though a cosmetic one. The experience is not like going to the dentist, who performs medical procedures like pulling teeth or filling a cavity, to have your teeth whitened. 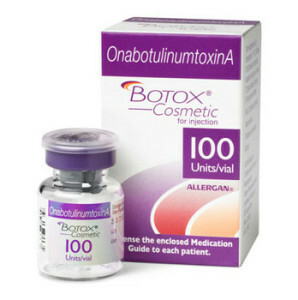 Like any other prescribed medicine, Botulinum Toxin has to be administered at the right dosage for it to work according to the manufacturer’s label. To ensure that you are getting the right amount of Botulinum Toxin units, you might want to see the doctor prepare the treatment in front of you so you get the undiluted dosage. But you don’t want just any other doctor to do the injections. Simply because a person has an MD after their name doesn’t just qualify them to administer a proper Botulinum Toxin injection. In the same way that a heart doctor cannot substitute for the role of the neurosurgeon, you don’t want your dentist or your psychotherapist to do the job of your dermatologist or skin care specialist. Botulinum Toxin has become very popular such that anyone with a medical degree and a week’s training in Botulinum Toxin can put out a sign that they are offering Botulinum Toxin injections. This is where horror stories emerge: The frozen face cautionary tales that you hear from patients who have gotten injections are the result of inexperienced practitioners overdoing it. In contrast, a trained doctor would rather under-dose because the full effects of Botulinum Toxin do not show after two weeks after the injection. It’s better for the patient to see the result first and let them decide whether it’s something they should come back for to the medical aesthetic clinic. The forehead is a tricky part to inject, which is why if it’s your first time, go for the crow’s feet instead. Once you are comfortable with the procedure and confident in the skills of your doctor, you can proceed to your frown lines. If you have sagging skin in addition to your wrinkles, the best treatment approach would be to combine Botulinum Toxin and facial fillers. Botulinum Toxin works on your active wrinkles, or ones that you are in the process of making by repeated facial movements, while dermal fillers work on established wrinkles that show up even if you don’t make facial expressions. You can also combined Botulinum Toxin with other anti aging treatments like Ulthera or Silhouette Soft. Ultherapy uses the power of ultrasound to non-invasively tighten and tone sagging skin in your eyebrows, jawline, chin, neck and décolletage, and to kickstart your body’s natural collagen production while Silhouette Soft relies on the power of a thread lift procedure to give you immediate lifting and collagen regeneration over time.